With the nature of loans, because of financial institutions and banks in current times being what they are, the average person might find it a bit overwhelming to apply for a loan, especially if only a small amount is required. At Mulah we understand how stressful it can be in tough times when you need a bit of bridging cash to get you from one payday to the next. Perhaps you need to settle an unexpected expense or maybe an emergency presents itself – whatever the case may be, at Mulah we offer payday loans that present convenience to our clients. Cash loans have never been simpler to apply for. If you are permanently employed and your salary is paid into your bank account, we welcome you to apply for a short term loan on our website. 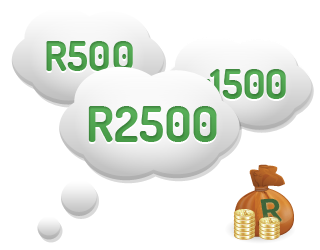 Simply select the amount that you need, your repayment period and we will supply you with a repayment amount. If you are happy with the proposed repayment amount, simply complete the application form with your personal details and we will process your application for you. All approved loan applications before 3pm will be paid directly into your bank account on the very same day. The loan amount is made immediately available to you for your convenience. Even though there are no lengthy contracts in place, you will be expected to settle the amount via debit order on your next payday. Failure to do so of course has its terms and penalties attached. Applicants must be over the age of 21 years. You must have a valid email address and cell phone number. Authorise credit checks to be taken against your name. An easy to understand application process. All fees are noted upfront so that there are no nasty surprises. Loan documentation is simple and easy to understand. All quotes are valid for 5 days from presentation. 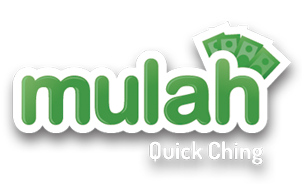 At Mulah the lending process is kept simple for those who want payday loans and cash loans that are approved and paid out on the same day. We encourage you to take the time to get in touch with one of our consultants or to complete the application form on our website so that we can further assist you in obtaining the financial aid that you require. Waste no more time shopping around – the best way to take out a loan is through us at Mulah – send us your application today.